Dr. Carolyn Calfee is a specialist in pulmonology based in San Francisco, California. 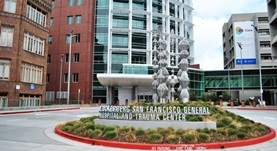 She works at several hospitals in the area, such as UCSF Medical Center and San Francisco General Hospital. She got her diploma from Perelman School of Medicine at the University of Pennsylvania and did her residency at UCSF and a chief residency program at the University of California at San Francisco. 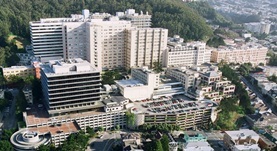 She did a fellowship in pulmonary disease and critical care medicine at UCSF. The doctor is board certified in pulmonary disease and critical care medicine and has an experience of more than 20 years. Dr. Carolyn Calfee has contributed to 3 publications. Diagnostic workup for ARDS patients. Papazian, L.,Calfee, C. S.,Chiumello, D.,Luyt, C. E.,Meyer, N. J.,Sekiguchi, H.,Matthay, M. A.,Meduri, G. U.; Intensive Care Med. 1900 Jan 01. Plasma angiopoietin-2 outperforms other markers of endothelial injury in prognosticating pediatric ARDS mortality. Zinter, M. S.,Spicer, A.,Orwoll, B. O.,Alkhouli, M.,Dvorak, C. C.,Calfee, C. S.,Matthay, M. A.,Sapru, A.; Am. J. Physiol. Lung Cell Mol. Physiol.. 2015 Dec 15. Cigarette smokers have exaggerated alveolar barrier disruption in response to lipopolysaccharide inhalation. Moazed, F.,Burnham, E. L.,Vandivier, R. W.,O'Kane, C. M.,Shyamsundar, M.,Hamid, U.,Abbott, J.,Thickett, D. R.,Matthay, M. A.,McAuley, D. F.,Calfee, C. S.; Thorax. 2016 Feb 04.